When choosing a college, the main factors I considered were environment and available academic and career resources. So basically, I wanted to go to the place that would make me happiest, present me with new opportunities and interesting people, and best prepare me for whatever career lay ahead. At the time, I had more of an engineering background but was also interested in business. Thus, I was specifically looking for some way to combine the two. While it is possible to double major at any university, a structured dual-degree program makes the process and experience more cohesive as well as flexible. For one, you have an experienced community of advisors who really understand your needs and questions and can thus offer the best guidance throughout your four years. Secondly, you’re surrounded by other students who are also interested in the intersection of business and technology and who are pursuing similar academic paths; this ultimately provides a group of intelligent people that relate to you and from whom you can learn. This community extends beyond those you interact with face-to-face during your time at Penn. One of the most impressive attributes of the M&T program is the network. As an M&T, you have access to a tremendous network of professionals spanning various industries, which directly contributes to the breadth and sheer volume of job opportunities. It’s not unusual to receive emails about three different internships, often sponsored by alumni, in just the span of a week, which I think really demonstrates the benefits of being able to utilize greater resources as part of a program. Furthermore, I believe a dual-degree program vs. a double major offers a more interdisciplinary education, meaning you really understand the interconnectedness of your two studies in application. For example, M&T’s take a specific course called Management of Technology (Management 237) that provides concrete examples and analysis of business decisions behind tech innovations, bringing together both dimensions. Thus overall, I most appreciate the fact that M&T opens a lot of doors and thrives on passion for both business and technology. 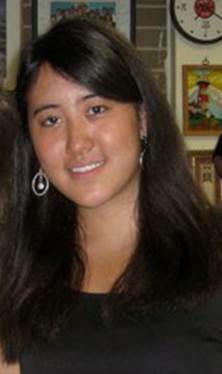 Kathy is a current M&T junior in the Class of 2014 from Houston, TX. She studies Systems Science within Penn Engineering and Finance, Operations and Information Management, and Business Analytics in the Wharton School.